Because they worship violence in their culture... obviously the only way you could EVER get out of a poor situation is through either a) drugs or b) violence. They have generally turned their back on education and getting them back to more productive ventures is nigh on impossible because it's not as easy as music or drug dealing. As a group white people deplore chavs, just look through the threads of hate in here towards them, yet almost every single black person is basically a chav - they are so inextricably tied there is no need to even label them something different. 1) Black culture does not and has not ever 'worshipped violence. Do you have any evidence whatsoever to back yourself up? 6) Black people and violence/drugs/crime is not correlated. Get it out of your thick head that they are! Its not racism... Its the truth. As i stated above a higher percentage of black youths are involved in gangs/crime. It follows that people will be less shocked/outraged etc when a black lad dies from a knife. On the contary, it is so shocking when a black youth gets killed and it isn't gang related that it gets over reported into the ground. People will buy newspapers which feature stories which relate to them. The majority of the population is white, and not really interested in gangsters knifing each other. White boys with straight As are much more tragic and relatable to Middle England, therefore they get more coverage. Stephen Lawrence (a wannabe architect) and the one in Liverpool who was killed with a hammer for having a white girlfriend are like the children of Middle Englanders, so they got a lot of coverage. 1) White people sing about love, the MOBOs are generally awarded to rappers such as 50 cent and others who endorse violence and drug use. 2) I obviously know that there are a few black people dotted around who have made it through education, I would be stupid if I didn't know this. The fact of the matter is that they suffer from a chronic shortage of respectable people to relate with who they can look upto. 3) This is quite boring really, we've had this debate before. As i've said if white people in similar circumstances committed 5 times the amount of crime per head then we'd be looking at that 27% of whites committing 135% of crime which is impossible! Like for like they are committing more crime per head than their white and asian economic counter parts. Indeed Asians are not so disproportianately represented in prison but they are in university, they come from the same inner city back grounds if not worse, and they've had less time to make it as a collective group. 4) Crap argument. News papers from right wing to left wing have slammed them. 5) I didn't say every black person is a chav, but the vast majority are, it's just their culture here. 6) Committing 15% of crime and accounting for 3% of the population seems to disagree with that idea. It is people like you who are further perpetuating the problems that their community have. You have basically given them an excuse to run riot by blaming it on everything but them. Anyway I won't be able to argue further because I don't have internet at home and that's where i'm going bai. That's what the quote button looks like dummy, use it! Oh and the ad hom attack is a nice touch. In reality it is people like you that cause problems with segregation. I'm going to have to disagree here, there are not enough black people for youths to look up to. Its undeniable, 50 cent and others like him are not really people to look up to... Perhaps this is part of the problem. Those three names have been the recent middle-class stabbings. That is why you have heard about them. If is totally ridiculous to try and claim that black victims are not reported. Even a cursory glance at reporting over the last decade reveals that there has been a reporting of black victims much, much greater than the proportion of black people in England would imply. If you actually look at the most reported murders: Stephen Lawrence etc. etc. ; you will find that they are nearly all murders of minority groups. By contrast, the 15-year old boy who was kidnapped, tortured and murdered by an Asian gang in Glasgow, before death threats were made against the family and local MP for trying to get justice, was barely reported at all. Take a look at this topic; http://www.thestudentroom.co.uk/show...d#post12536767, where naivesincerity pretty conclusively demonstrates that there has been FAR more reporting of Black/Asian victims to racially motivated crimes than White victims, and indeed certain people in the BBC deliberately minimised reporting on white victims because of a fear of whipping-up racial tensions. I wouldn't describe Ben Kinsella as middle-class, anyone who knows the school he went to would testify to this. There are a lot of things wrong with certain posters' responses, I don't even know where to begin. Let me put a very basic argument to you. There is no question that there are an equal number of white people (there are infact almost certainly more), and asian people, in the same position that black people are in life if we assume all 3% of them live in inner cities. So if there are at least equal numbers of white, black, and asian people all in the same boat please explain why 75% of all victims of gun crime are black (http://www.mpa.gov.uk/committees/cop/2007/070503/05.htm) and why 79% of all suspects are black. It is clearly a cultural thing, unless of course you want to differentiate their position from the white and asian people who share exactly the same poverty in some way? I question how you can tow the line that it's entirely down to their economic circumstance, I admit that economics and the lack of male figures in the community to look upto play a role but only the same role that they do within white communities; everything extra they do is entirely down to their worship of violence. 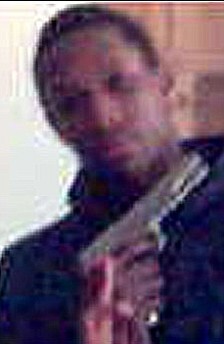 Nobody is saying that all black people are gangsters, but it appears that most gangsters are black....think about it. Watched that 'Fallout' programme on 4 yesterday, I think it is the "Black Attack" reference that people have made. To be honest I dont know whether it is self indulgent tripe or if people in London actually talk/act like that! Thank goodness somebody actually understands what i'm getting at! It's an extremely hard topic to approach without being offensive and getting hated. The simple fact of the matter is that a fair majority of black people behave, but gun and knife crime is prevalent in their communities for reasons aside from economics. I agree with elipsis on this one. Whatever the initial reasons for the breakdown of the black community, it is now undeniably a reality. Trying to pretend there is no problem (the favourite tactic of morally corrupt liberals) does far more damage than open and honest discourse about the problem. I couldn't have told you who any of these people were. I cannot believe how close minded that comment is. Absolute bunch of ****ing morons. If you'd like to reply to my reply further up the page that would be nice, if not i'll just assume you know you're wrong and you're sorry for ever questioning me. Some of the victims are white and middle class and some are black and working/under class. Its pretty easy to understand why some get more publicity than others. I know the name of Shakilus Townsend. But I also understand why there's not as much media coverage of him, or as much awareness of his murder as that of the Knox and Kinsella murders (or the Bonomo-Ferez murders). 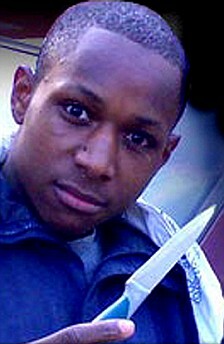 It now appears that Townsend was just another hood rat involved with gun and knife crime. He lived by the sword, and (pun intended) has now died by the sword. That alone means that not the same public sympathy is not generated for the victim, and therefore the media cannot capitalise on the crime, so they don't report it as heavily. How do you use TSR? If you could change 1 thing about TSR what would it be? People who deserve more recognition?